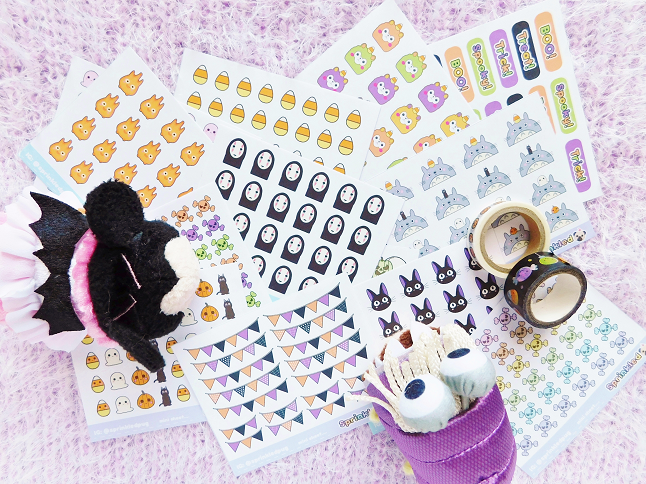 My favorite sticker shop, Sprinkle Pug came out with a slew of amazingly cute Halloween stickers so I wanted to share them because they're so cute! 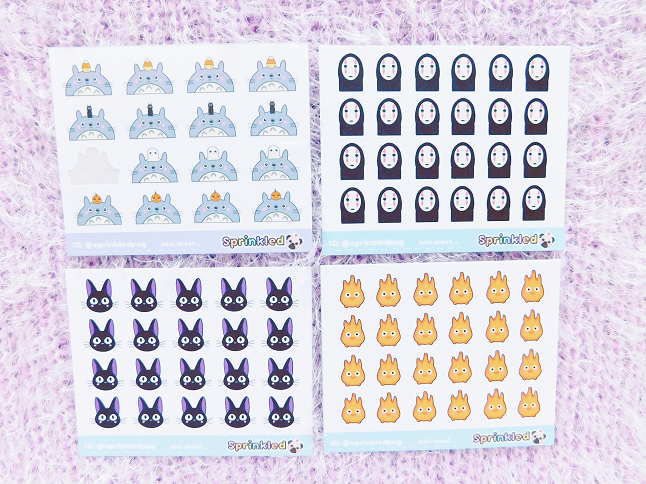 These are the Halloween stickers that I plan to use this month. 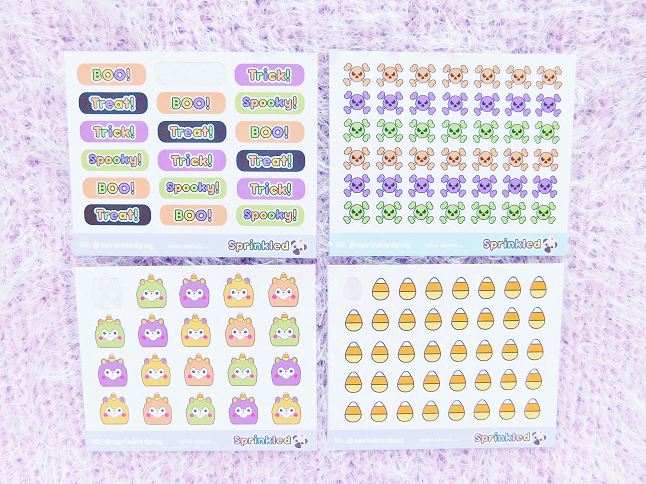 You can get a few of these stickers in the Sprinkle Pug shop but if you would like these mini sheets to contact Liz on Instagram every week she posts new stickers for $1 plus $1 shipping (she recently started posting her autumn stickers). 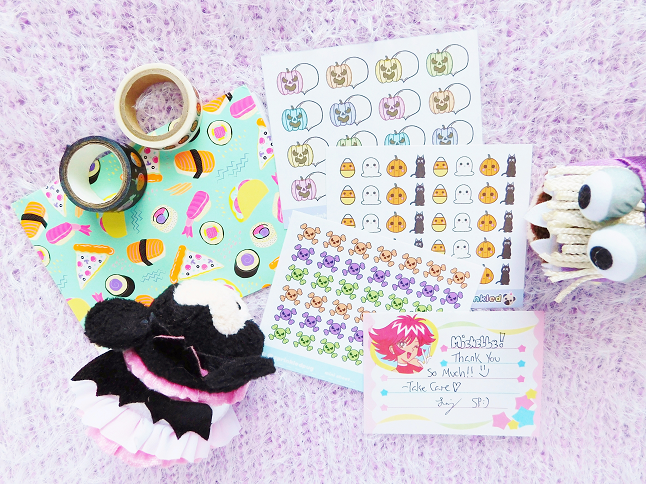 Halloween quotes, Halloween skulls (pastel here), Halloween alpacas, and candy corn stickers. As you can see I already used a few. 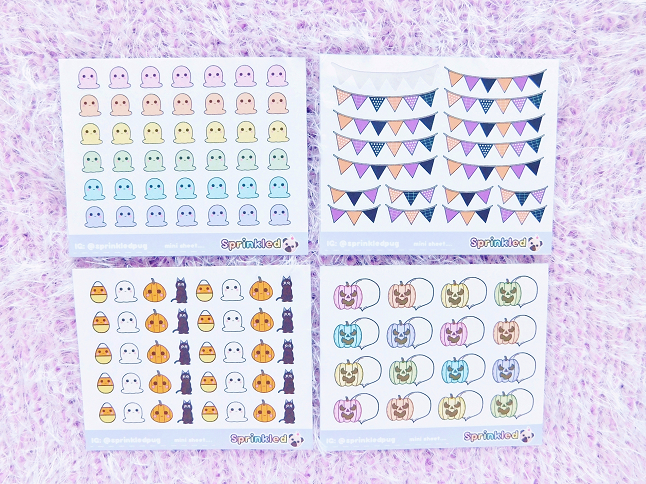 Pastel ghosts, Halloween banner, Halloween set and pastel pumpkins. I love Studio Ghibli movies so when I saw these I freaked! Look how cute Kiki looks!